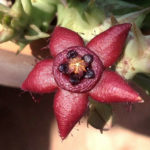 Orbea semota subsp. 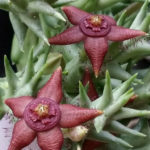 orientalis is a much-branched, fleshy, mat forming succulent up to 4 inches (10 cm) tall. 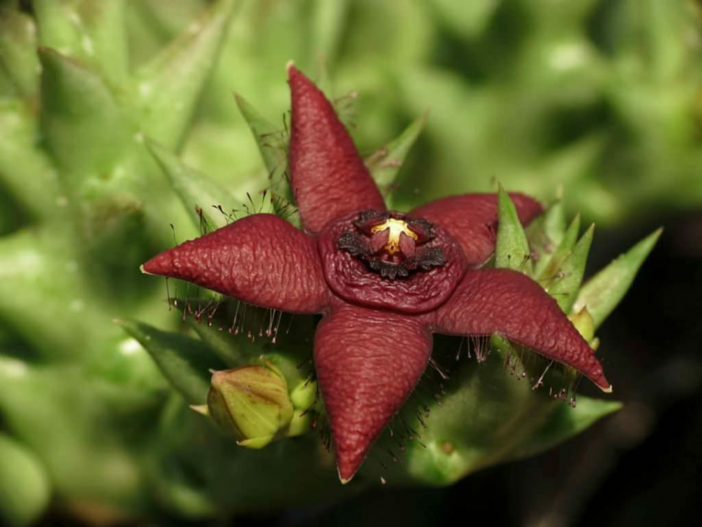 It is distinguished from Orbea semota by its smaller, solid brown flowers and slightly, less boldly, toothed stems. 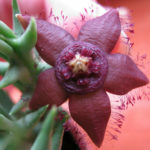 The stems are erect or procumbent, up to 0.7 inches (1.8 cm) across excluding teeth. 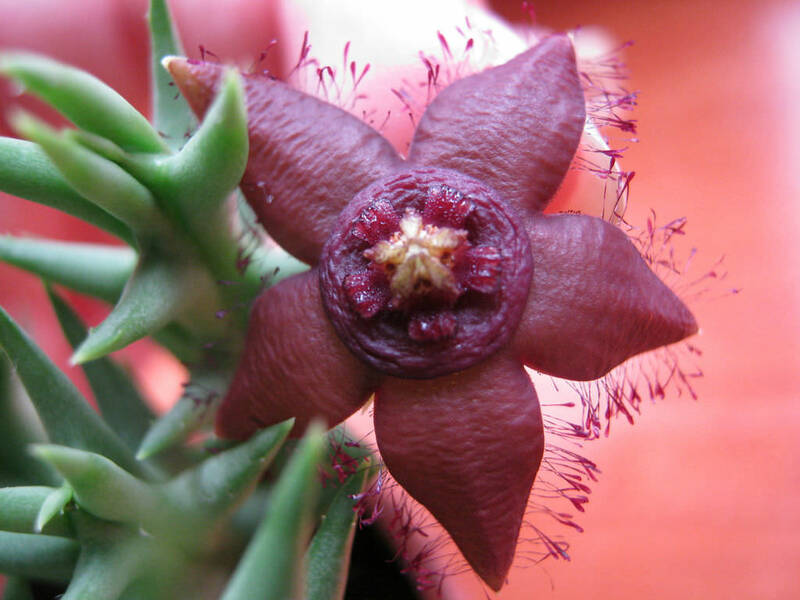 The flowers are borne singly or several together, from any part of the stem. 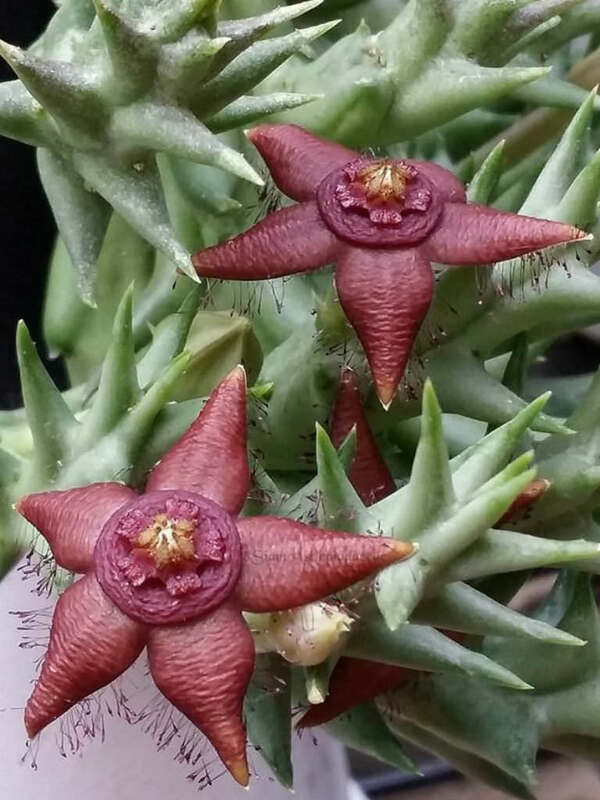 They are star-shaped and up to 1 inch (2.5 cm) in diameter. 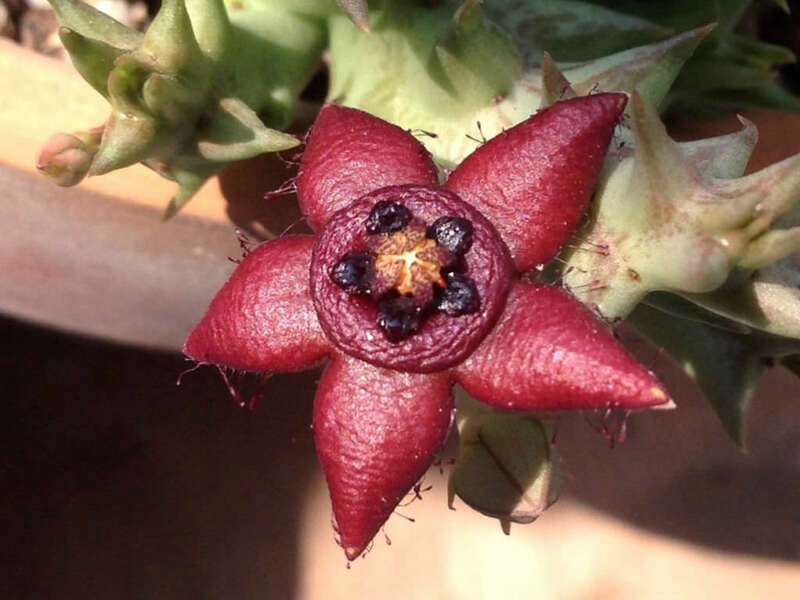 It is native to Kenya and Tanzania.